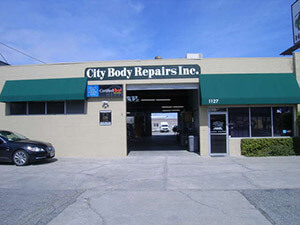 Do you have questions about choosing an auto body repair shop? This information is designed to assist you in handling claims with your own insurance company. Return of replaced parts, if requested at the time a work order is placed. Questions concerning the above information should be directed to the manager of the repair facility. Questions concerning the above should be directed to the manager of this repair facility. any willful departure from or disregard of accepted trade standards for good and workman like repair. Yes – Your insurance policy may provide that, when the insured and insurer fail to agree on the amount of loss, both parties are entitled to arbitration. No – Unless the referral is expressly requested by you; or you have been informed in writing of the right to select the repair facility; and The insurer that elects to repair a vehicle directs, suggests or recommends that a specific repair shop be used, shall cause the damaged vehicle to be restored to its condition prior to the loss at no additional cost to you other than as stated in the policy or as otherwise allowed by law. and Insurers specifying the use of non-OEM replacement crash parts warrant that all such parts are of like kind, quality, safety, fit and performance as OEM replacement crash parts.